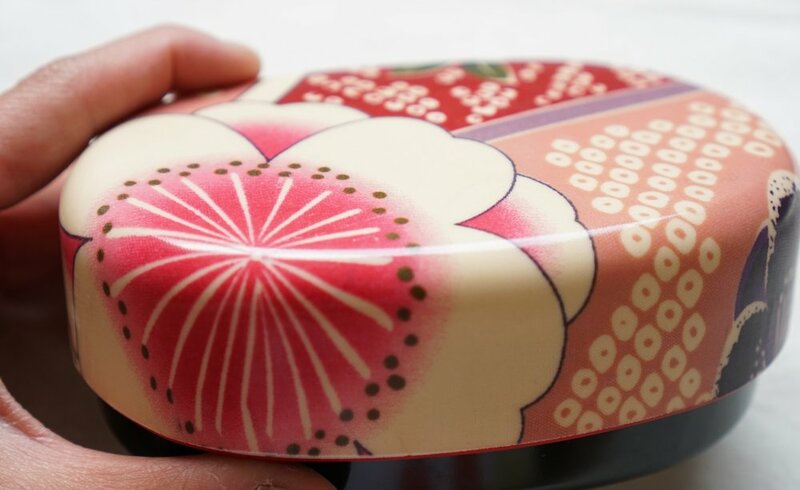 The cherry blossom bento has an eye catching design, not unlike a kimono. the material under the seal is actually printed cloth. Due to different sections being used all designs are a little different. It's really unique isn't it? Have a close look at the pattern and you can see the real cloth texture. 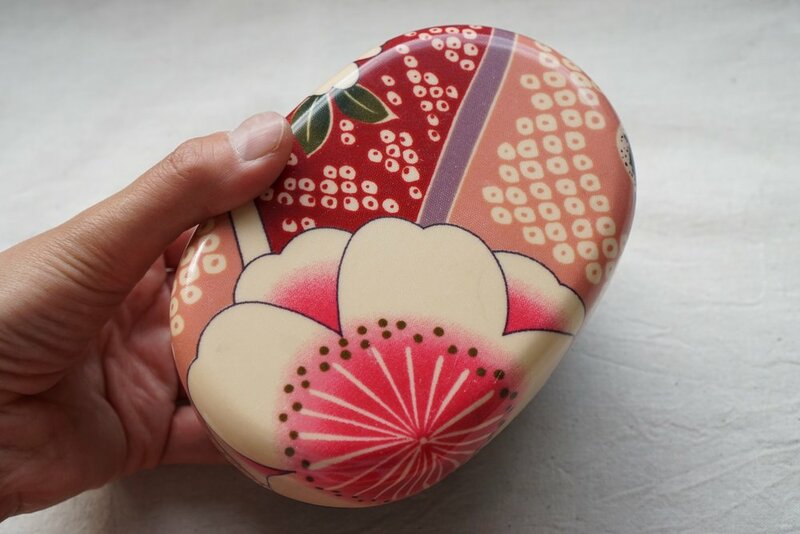 Chopstick case is also beautiful. We only have a few remaining Gift box.